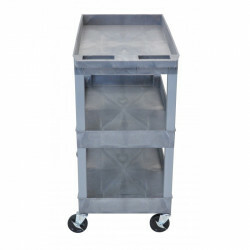 The Offex E Series utility carts are made of high density polyethylene structural foam molded plastic shelves and legs that won't stain, scratch, dent or rust. 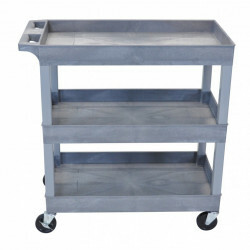 This OFWB-EC111 cart has three tub shelves that are 18"D x 32"W. Easy assembly. Made in USA.